This is a great way to serve strawberries. 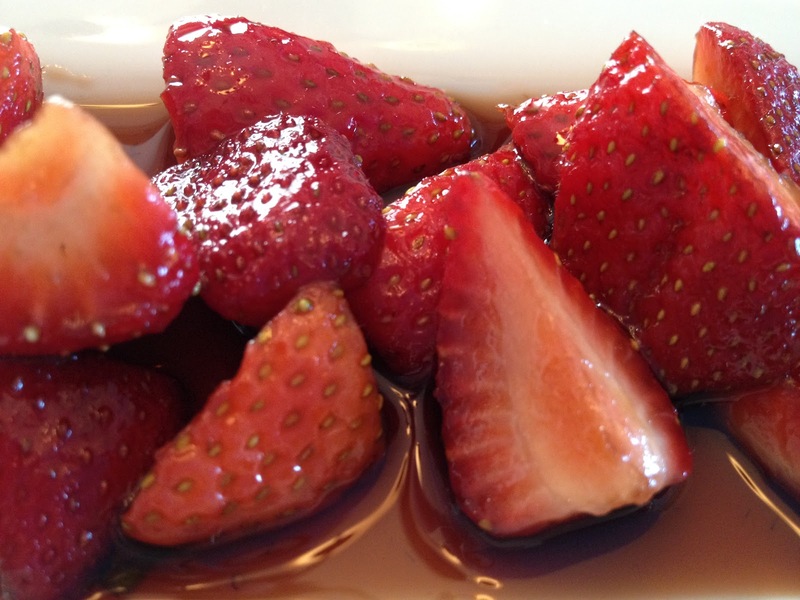 Balsamic vinegar and sugar mascerate the strawberries and create a not-too-sweet syrupy sauce while the strawberries soften just slightly. I always use DelPozzo’s Aged Balsamic Vinegar because it is the best! Cut the strawberries. Sprinkle with sugar and balsamic vinegar and toss. Let sit for an hour or so until syrup forms. Eat them and enjoy! p.s. This is a great thing to do with a-few-days-old-and-they-don’t-look-so-good strawberries. The maceration process reawakens the essence of the strawberries.